While taking my husband out for his certification to become an Open Water Diver I noticed a small leak coming from the hose connected to my Suunto Cobra 3 dive computer. This gave me the perfect opportunity to try out my Suunto Vyper Air which had been sitting on the shelf for about 4 months. I unscrewed the hose of my Cobra 3, put a little silicone lubricant on the o-ring of my Vyper Air, and then simply threaded the wireless transmitter into one of my first stage’s high pressure ports. SO EASY! After making sure the watch and wireless transmitter were synched (yep, happened right out of the box without any problems! ), James and I went out to dive. The Vyper Air functioned exactly the same as my Cobra 3 so making the adjustment to a new computer was a breeze. Some of the features that I appreciate the most with the Vyper Air’s design is the large, easy to read display screen. With a quick look I can know how much air I have left, what’s my depth, how much longer my dive can last for, water temperature, and current dive time. Unlike other computers that can be cluttered with too much information, the Vyper Air lists “the basics” clearly and concisely. Even with it’s large display, however, the Vyper Air was lightweight (only 2.4 oz). When not looking at the dive computer, I completely forgot it was strapped to my wrist. Although the Vyper Air is a bit more expensive than the Cobra 3, it’s definitely a big plus to cut down on the bulk of your first/second stage/SPG set-up. One less hose is very nice! I’m all for cutting our the clutter. The Vyper Air wrist mount also comes with a large band, making it easy to use with whatever you’re exposure protection may be (skin suit – drysuit). Recently, I have started diving with enrich air (nitrox) more often and the Vyper Air is easy to program for this use. It can handle oxygen mixtures ranging between 21% and 99%. For the technically minded diver, you can also program the dive computer for two different types of gas. James and I are planning to take the PADI Tec 40 course soon so this computer should be able to handle our training without any issues. One of the features I enjoy most about the Vyper Air is that it works with Suunto’s new computer software MovesCount. I can import the dives from my Vyper Air onto my computer and view dive profiles (at a sampling rate of 1, 10, 20, 30, or 60 seconds), theoretical tissue saturation levels, rate of air consumption, tanks pressure before and after a dive, dive time, maximum depth, average depth, surface time, and many other great features. If you’re at all like me, you go out diving and then spent your evening completing your log book with all the details of the day. This feature definitely helps keep record of all my stats for me. As a side note, I’ve read some online posts about MovesCount not being compatible with Apple products. As a MacBook Pro user, I can verify that this rumor is completely untrue. I have been able to use MovesCount without any issues. I haven’t had the opportunity to try out the digital compass on the Vyper Air yet. From previous experience with digital compasses, I have found them to be completely unreliable. I was speaking to one of the ladies who works at Tsunami Scuba and she said the Vyper Air was the most reliable digital compass she has used so far. 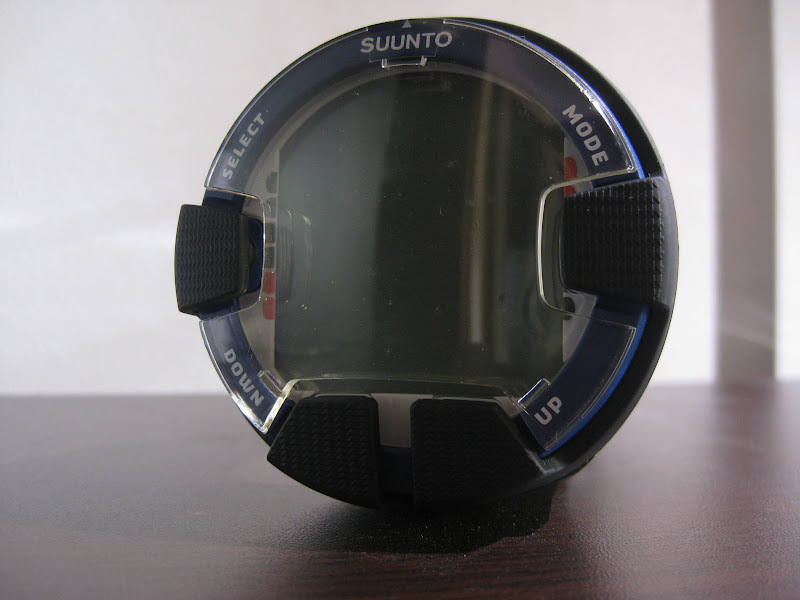 Even if it worked perfectly fine, I would still recommend the purchase of a standard dive compass ( I am a fan of Suunto’s SK7 Retractable Compass) to have as a back-up in case the digital compass goes haywire. Redundancy in diving is always recommended. For those interested in factoring in the declination between magnetic north and true north, the compass on the Vyper Air can be easily calibrated. Simply hold the compass flat and slowly turn 360° while in the calibration mode. For the safety minded diver, the Vyper Air will not disappoint. There is a built in ascent rate monitor/alarm that you can program to beep if you exceed a safe ascent rate. It is also possible to program 2 deep stops of 1 or 2 minutes. If diving at altitude, the Vyper Air can also be adjusted to suit whatever your conditions may be. For extra safety there are also 3 different modes of conservatism that can be selected. In addition to all the features you can use while actually in the water, there is also a dive simulator to help you plan your next dive. Also, the Vyper Air keep a logbook for up to 80 hours of diving. This is a really great feature to use on the fly when you can’t connect to your home computer. I am extremely happy with my Suunto Vyper Air. It’s easy to use but offers all the “high tech” features I want (export dive profiles to computer, wireless, solid algorithm for decompression model, safety features, personal programming, backlight, cold water use, dive simulator). Because of the price-tag, I would recommend this computer only to dive enthusiasts who plan to make dives nearly every week. 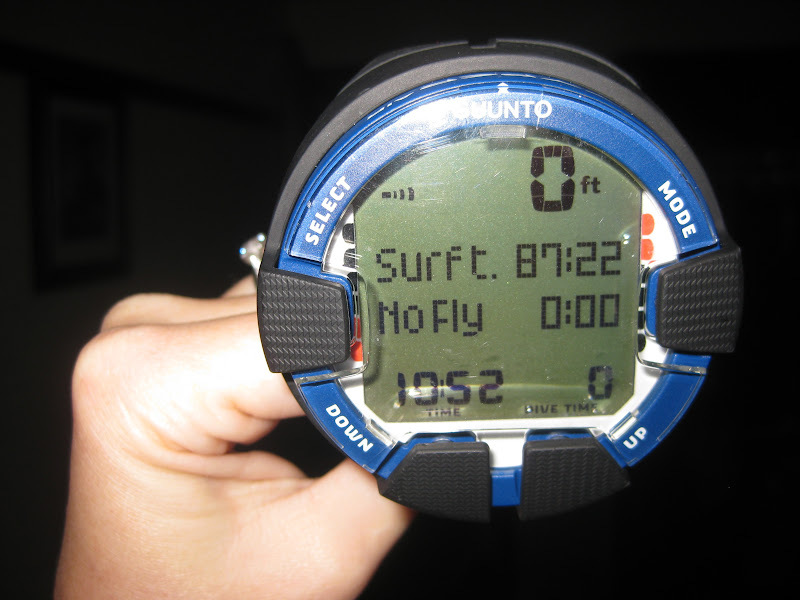 For the more casual diver, look at getting Suunto’s Cobra 3 or Zoop. They are less expensive but many of the same features also also featured on these models.